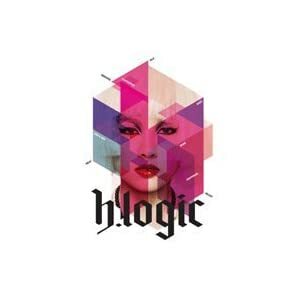 Two years after her best-selling It's Hyorish, Lee Hyo Ri is back with her brand new fourth album H-Logic. Teaming up with New York-based musician Ryan Jhun and up-and-coming composer Bahnus, K-pop's biggest diva introduces fans to her unique brand of music and logic through 14 exciting new tracks. In contrast to the current electronica trend, the album employs more acoustic instruments for a "real" dance and hip-hop sound. Hyo Ri collaborates with none other than her former Family Outing co-star Dae Sung of Big Bang for the anticipated duet How Did We Get. Plus she invited 4Minutes' Ji Yoon and After School's Bekah to feature in Bring It Back, and Leessang's Gary and Mighty Mouth's Sang Chul show up as guest rappers for the star-packed album as well. Hyo Ri also gets to reveal her songwriting talent in her self-penned Chitty Chitty Bang Bang.